Career Days UGM XXIV 2018 : PT Bank Central Asia, Tbk. PT Bank Central Asia, Tbk. 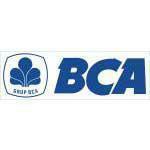 is the largest private bank in Indonesia has more than 20 thousand employees and more than 800 branches spread all over Indonesia and 2 representative offices abroad, namely in Hong Kong and Singapore. We invite alumni to join our team.